* Page contains affiliate links. Heard about the benefits of weighted blankets for sleep and anxiety, but worried they’ll make you hotter than your oven at full blast? The good news is that there are some excellent weighted blankets for hot sleepers on the market, designed specifically with you in mind. 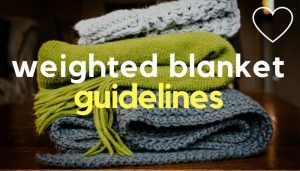 Whilst weighted blankets aren’t necessarily any hotter than a regular blanket, they are heavier in weight and often use plush materials such as Minky Dot fleece, which whilst super tactile and cosy, are man made fabrics that generally don’t breath well. 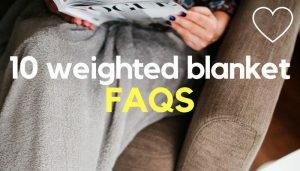 So if you’re a hot sleeper, suffer from night sweats or simply want a weighted blanket suitable for summer, weighted blankets with natural, breathable covers, such as 100% cotton, are generally a cooler option. If you want to go a step further though, here are 3 popular weighted blankets designed specifically with hot sleepers in mind. 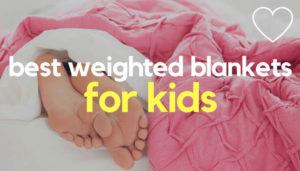 Specifically designed to accommodate the needs of hot sleepers, the COOLMAX® Weighted Blanket from Weighted Comforts moves moisture away from the body to help you stay cool and sweat free. Made from a mix of naturally breathable cotton and COOLMAX® ALL SEASON polyester, the COOLMAX blanket is designed to wick moisture away from the body to keep you cool and dry. Handmade in Nashville, Tennessee, the blankets are filled with FDA approved weighted plastic beads, which are sewn into pockets to evenly distribute the weight. Whilst the fibre structures in the blanket are aimed at moving body heat away from warm sleepers, you can still rely on the blanket’s fibre structure to provide warmth on colder days, making it a good choice for an ‘all season’ blanket. In terms of comfort, the weave is denser than quilting cotton but still smooth and comfortable to the touch. In fact, the blanket goes through a tufting process to give it a lovely soft and smooth feel. Whist the blanket doesn’t have a removable cover, it’s machine washable and dries quickly too. With consistent 5* reviews, the COOLMAX Weighted Blanket is a popular high end choice, designed to help keep warm sleepers stay cool, year round. 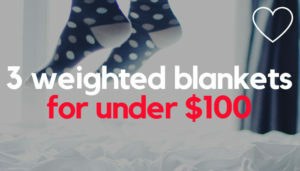 The blanket is extremely well made and all blankets come with a 30 day money back guarantee. You can usually get a 15-20% discount on your first order via the website. Available in 15, 20 and 25 lb sizes. You Can Get A COOLMAX® Weighted Blanket Here. The YnM cooling weighted blanket is another highly rated choice with hot sleepers or those who suffer from hot flashes or night sweats. It’s not handmade like the Weighting Comforts blanket, but it does come in at a lower price. The YnM Cooling Wighted Blanket is made from soft, silky smooth 300 thread count bamboo viscose. A semi manmade material, bamboo viscose is naturally breathable and helps wick moisture away from the skin. Naturally cool to the touch, bamboo viscose also allows moisture to evaporate into the air quickly, helping to prevent dampness and aid better temperature control. The bamboo fabric is filled with glass beads, securely sewn into pockets, which are encased between two extra layers of breathable cotton fabric. This helps prevent bead leakage and also aids comfort. Whilst the product details state the blanket itself is machine washable, a removable duvet cover (sold separately) is recommended for easier cleaning and extra durability. If you’re looking for a weighted blanket that will help you still cool at a great price, YnM is a popular, highly rated choice. Available in 15 and 20 lb sizes. Whilst weighted blankets designed for hot sleepers should still keep you warm when needed, if you live in a climate where it gets cold during winter, you might want to consider a Degrees of Comfort Weighted Blanket. As well as a Coolmax cover to help ventilate heat away from your body, it also includes an additional fleece cover for colder months. Both covers attach with ties and whilst this can be a little faffy, the easiest way to do it is to turn the cover you want inside out and lay it flat on a bed. Then lay your blanket on top and attach the ties. Lastly, turn the cover and blanket right side out and zip close. The blanket itself is filled with nano ceramic beads with a texture similar to sand. As usual these are sewn into pockets for more even weight distribution. This is an affordable option to consider if you want the flexibility of 2 covers. If you’re not too fussed about the warmer fleece cover though, I’d personally stick with the YnM Cooling Blanket for the price. 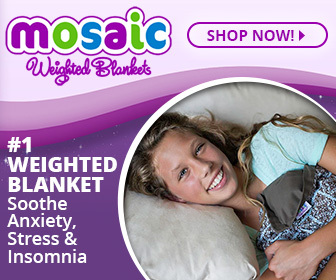 More and more children and adults with insomnia, anxiety, autism and sensory processing disorders are discovering the benefits of weighted blankets for sleep and anxiety. 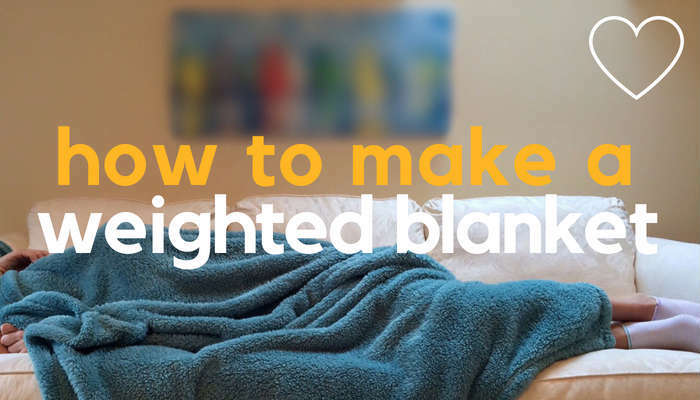 But if you’re prone to night sweats or simply tend to get a little hot at night, some of the weighted blankets out there may feel a little on the warm side. 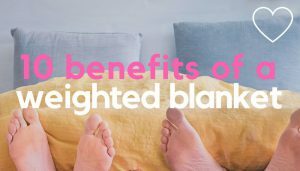 Whilst some of the popular and affordable weighted blankets may work fine for you – choosing a weighted blanket designed specifically with hot sleepers in mind might be a more practical, long term choice. 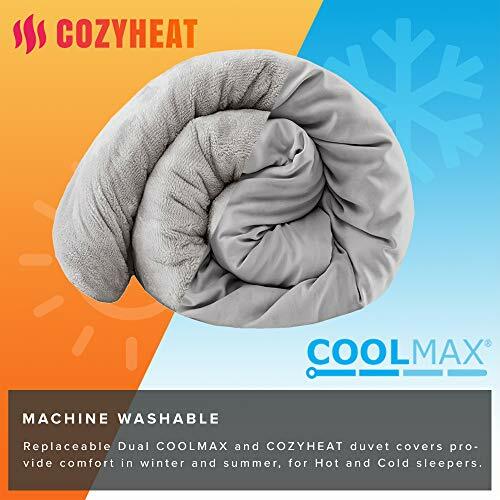 Blankets such as the Weighted Comforts COOLMAX or the YnM Cooling Weighted Blanket are both popular picks, since they employ fibres that help move heat away from your body, thereby regulating body temperature more effectively. 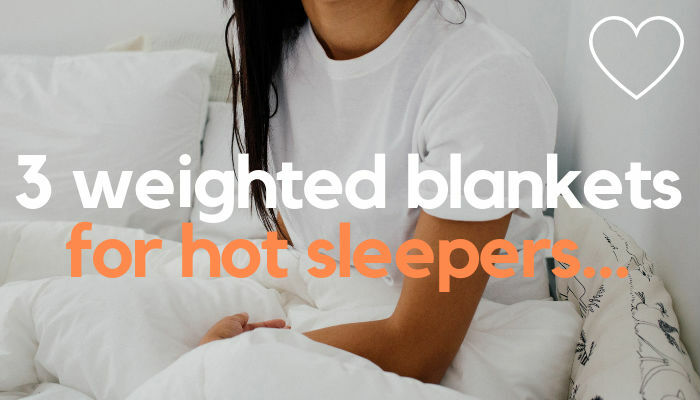 This means you can still enjoy the benefits of a weighted blanket, whilst remaining at a temperature where you can comfortably rest and sleep.